Located right in the center of Asia, Kazakhstan is filled with unique man-made, as well as natural Indian sightseeing objectives. However, there is one spot that attracts a large number of diving enthusiasts every year, as well as tourists who want to relax in a breathtaking natural envirnonment. 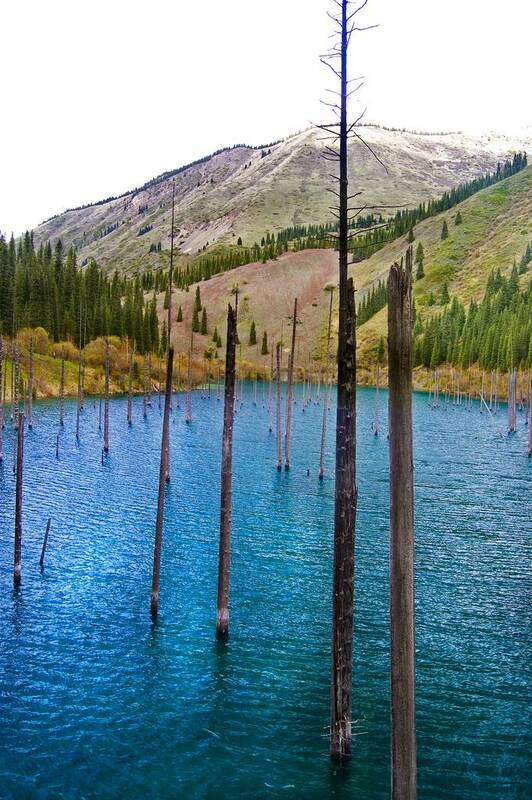 Being almost one century old, the deep blue water of Lake Kaindy is well hidden in the Kungey Alatau Mountains – and while getting here is not easy, it certainly is worth it. The closest village in the area is Saty, 15 kilometers away from the lake. 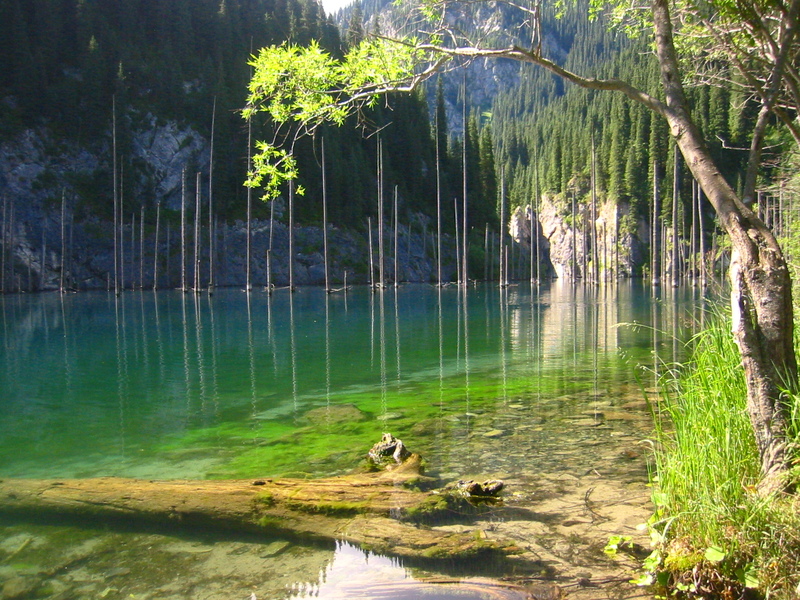 As for the closest city, there is the former capital of Almaty within a distance of 130 kilometers. For those who have enough energy to cross the 15 km distance off-road, climbing skills would be useful as well due to the forest and strangely shaped big rocks. But what takes so many people aback when it comes to this place? 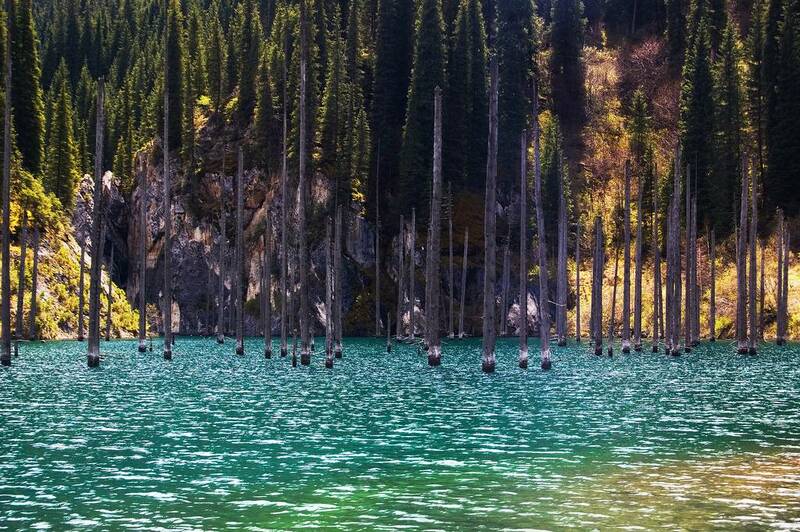 As they get to the lake, visitors will notice a few dozens of dark brown trunks rising from the water. 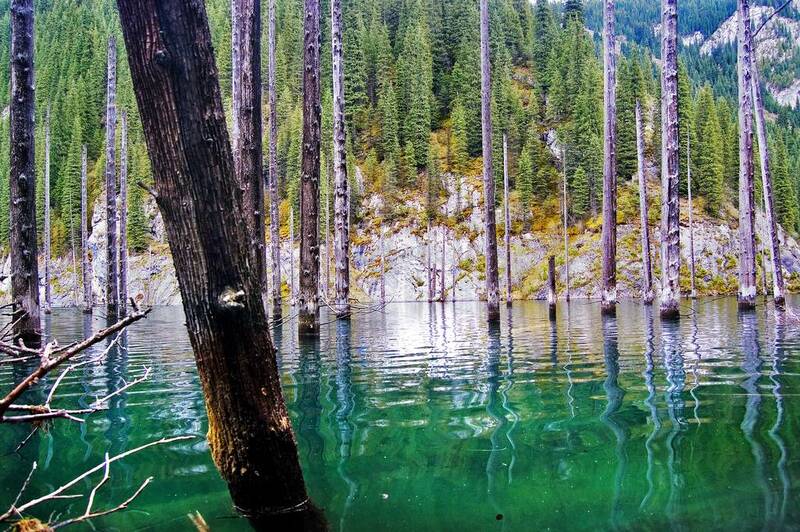 Simultaneously, the water has many color shades which vary from glimmering blue to alpine green. The result? A seemingly surreal wonder hidden in the forests. However, this wonder wouldn’t exist today if it wouldn’t have been for the Kebin earthquake in 1911. The 7.7 magnitude of the event resulted in a large crack in the Kungey Alatau Mountains, which eventually turned into a gap right in the middle of the forest. 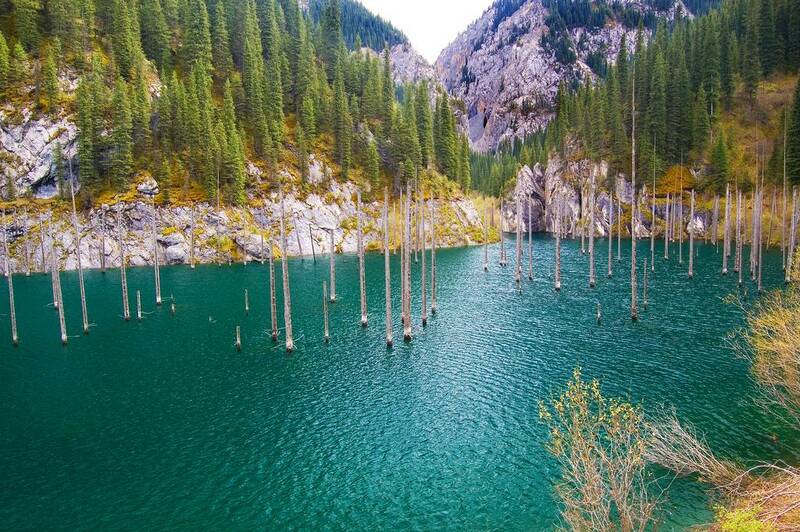 As time passed by and the water level kept on rising, the trees that used to grow there slowly died. 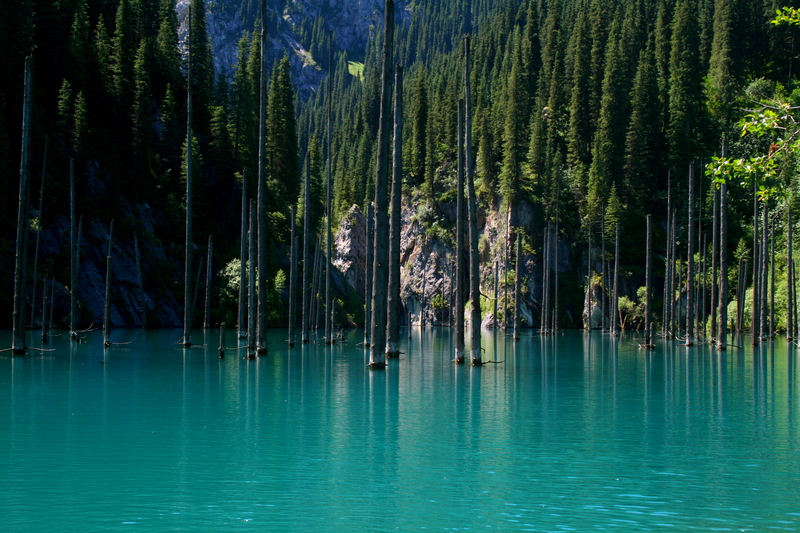 Now, the length of the Lake Kaindy is 400 meters with extremely cold water – particularly during winter – and its depth goes up to 30 meters. These facts can only delight diving enthusiasts who come to swim around the trunks and enjoy the surroundings. 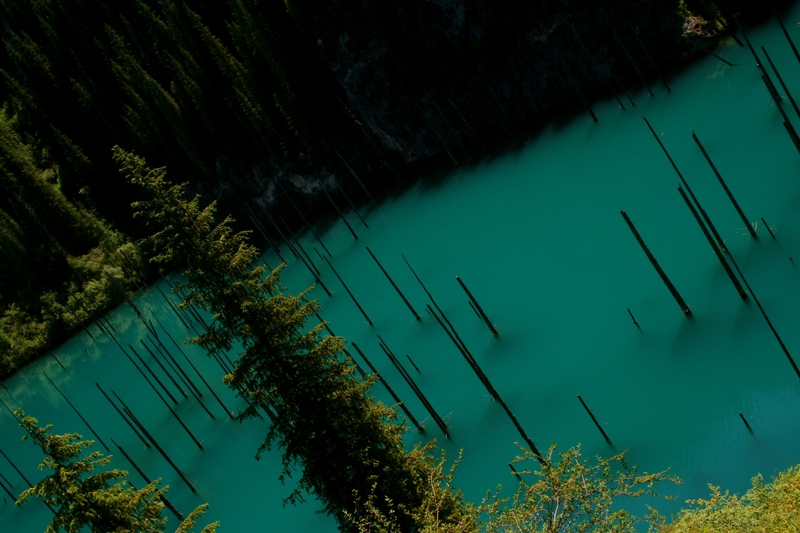 At times, the contrast between the large green areas filled with spruce and the intense blue water is nearly unbelievable. 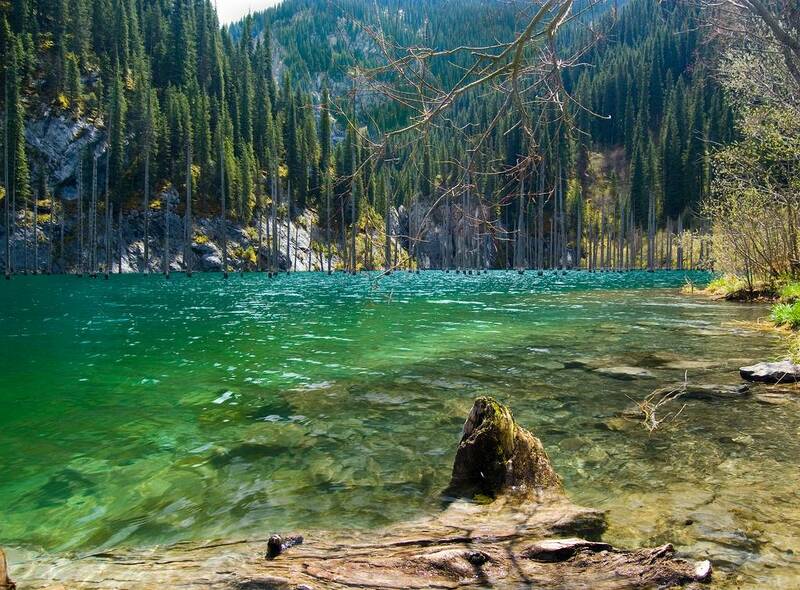 Protected by the high rocks and spruce of the Kungey Alatau Mountains, Lake Kaindy is a well preserved creation of nature which attracts many tourists yearly due to its quiet, seemingly magical scenery that breaks them apart from the real world. 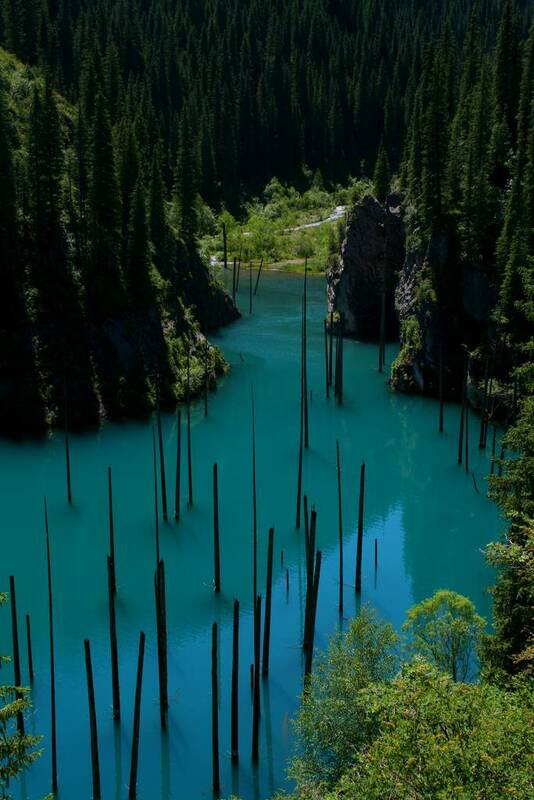 well this lake looks unique of it self , i have seen a lot of lakes but this lake is awesome , well i don’t know i can see this lake in my life time , well i say good luck to those which are lucky enough to see this amazing place .